Recent marketing analysis shows that Latin American countries are poised to encounter growing online shopping trends. Even merchandising companies based in the United States are weighing the pros and cons of reaching a wider audience. The potential for e-commerce sites such as Amazon appears quite attractive. Not to mention, these companies will have to contend with Latin American enterprises of the same ilk. 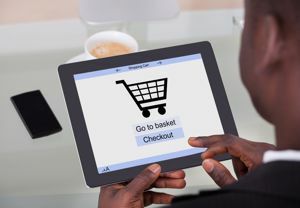 The Latin Post referenced the "Latin America 500" study conducted by research and analysis business Internet Retailer, which maintained that Latin America is the globe's second fastest-growing online shopping economy. Apparently, the region remains a close second to China. What are the sales figures? Before foreign companies consider redirecting their procurement process priorities to accommodate Latin American consumers, it's important for them to determine whether or not setting up shop in the continent will be financially rewarding. Internet Retailer discovered the top 500 merchandisers in Latin America encountered increased sales of 23 percent, cumulatively. This growth amounted to $17.94 billion in 2013. The rate of e-commerce expansion surpassed activity both in the U.S. and European markets. As for where to invest, approximately 299 of the 500 enterprises surveyed were based in Brazil, which accounted for $11.7 billion in transactions last year. Latin American businessmen recognize the stability of this market, and have reaped the benefits of penetrating it. CNBC referenced the success of MercadoLibre, the largest online shopping site in the continent, which is headed by Stanford University graduate Marcos Galperin. MercadoLibre was originally launched as an auction site in 1999, and eBay acquired 19.5 percent of it in 2001. The news source noted Latin American consumers conduct nearly 2,000 searches per second on the website. Galperin told CNBC that mobile commerce is expected to take MercadoLibre to the next level. "Twelve percent of our gross merchandise volume comes from mobile phones," said Galperin, as quoted by the source. "It's a huge opportunity, but it's a huge execution challenge in terms of continually writing the software to adapt all of our services to the new formats." Once this medium is established, marketplaces such as Amazon will likely have a more difficult time permeating into the Latin American e-commerce economy.